The Kudu (or “Greater Kudu” since there is also a “Lesser Kudu” in East Africa) – is an antelope that prefers the forests. 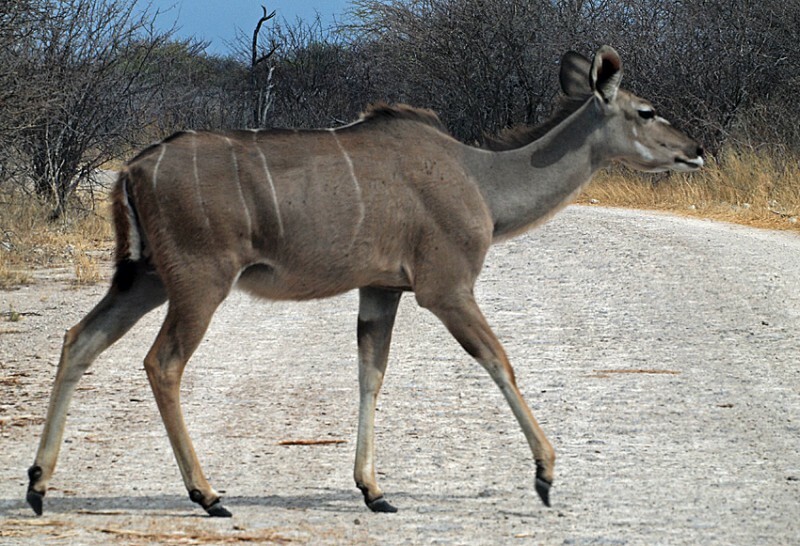 We saw kudus only a few times in Etosha. 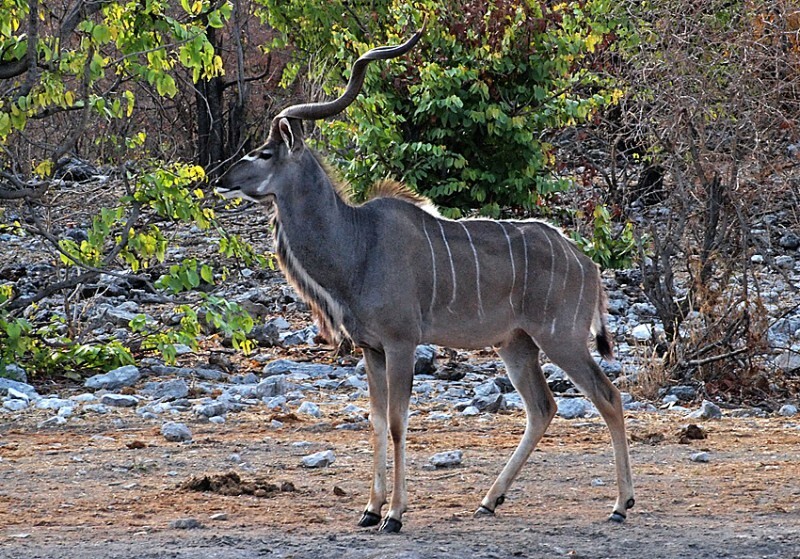 A female kudu weighs 120-210 kg. 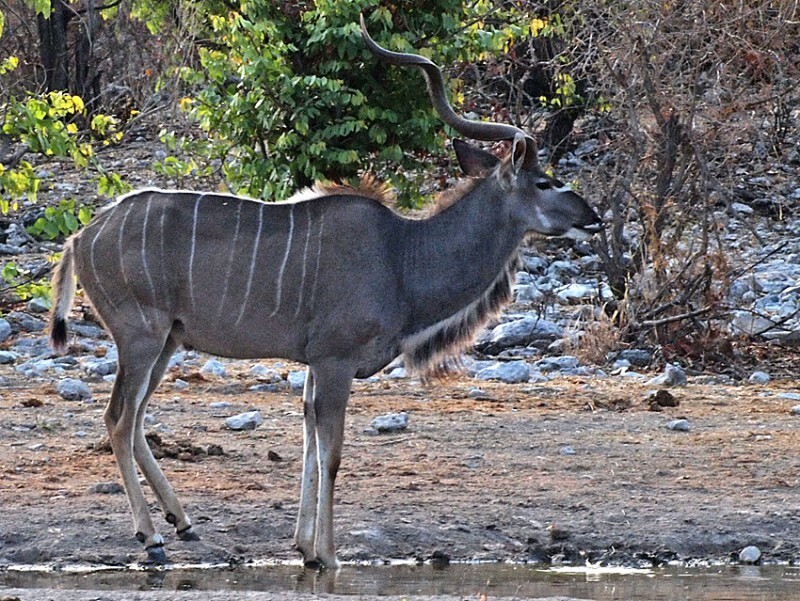 She carries the stripes that makes it easy to say it is a kudu. Males also carries the stripes but are larger, weighing 190-270 kg. They have manes along their throats and horns. The horns starts to grow when they are 6-12 months old. They grow with one twist every second year. A fullgrown male is 6 years old and has horns with 2 and a half twist. 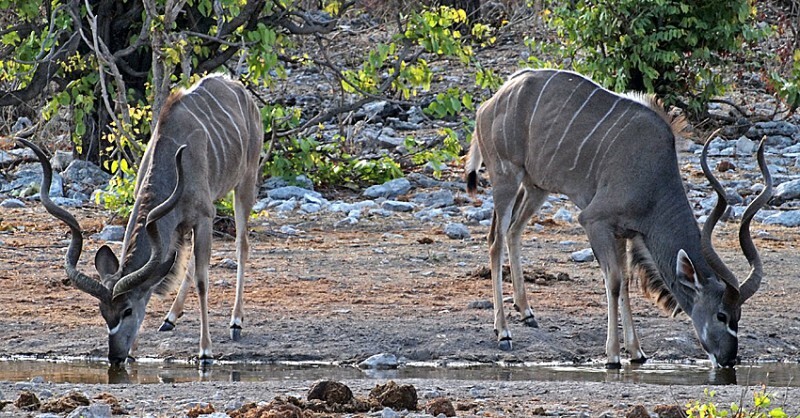 The kudu’s horns average 120 cm but the record is 188 cm! When males fight they interlock their horns until one of them gives in. In rare occasions they are not able to free themselves from each other resulting in death for both. 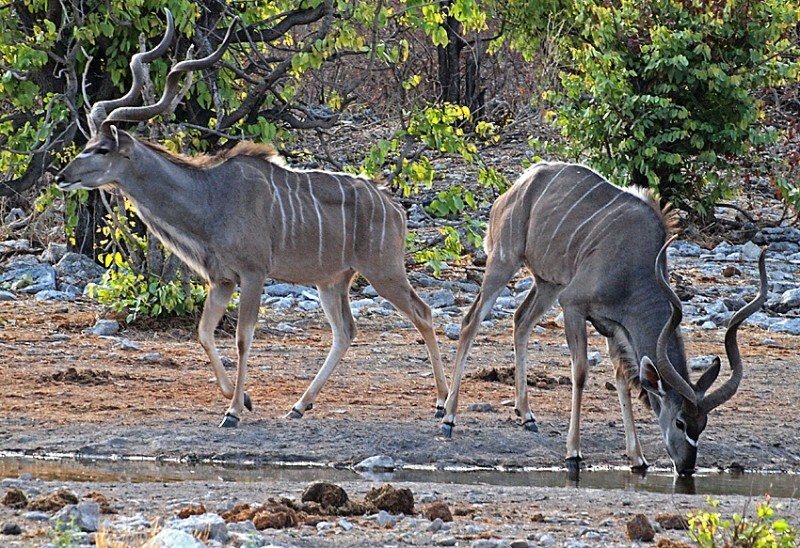 Kudus are found all over southern Africa. They normally avoid open areas. They eat grass but are also very fond of fruits. They stay in the forest during day and seek waterholes only early or late in the day. When threatened by predators the kudu can not count on great speed (they are one of the slowest antelopes) but rather counts on leaping over shrubs and small trees to shake off pursuers. 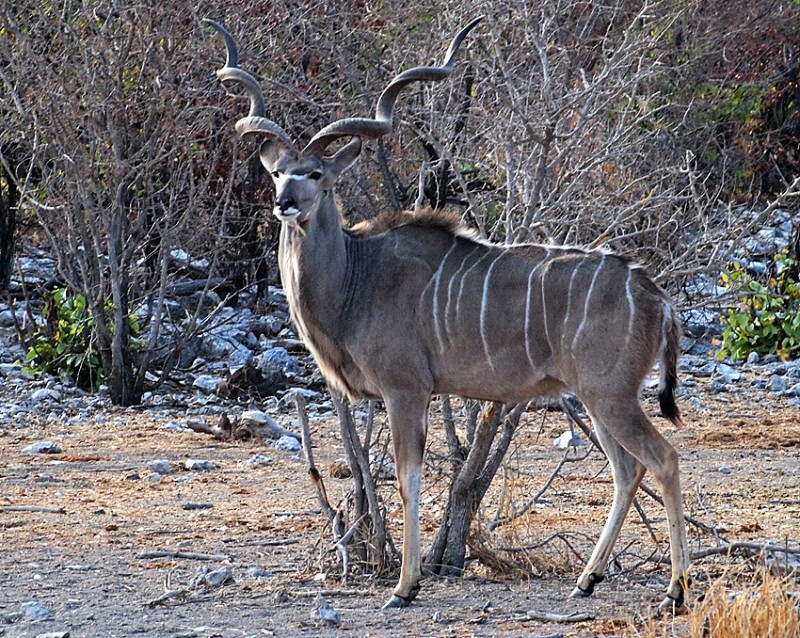 Kudu is hunted for their meat and their horns are used to make “Shofars”, a jewish ritual horn. I think the Kudu is one of the most beautiful animals in Africa.